Randy Godeau started Bay Area Kitchens back in 1983 and is active in the day-to-day operations of the company. His background in all phases of design and construction gives him a unique and broad perspective in both new construction and remodeling projects. He’s also a passionate cook, and applies his knowledge of cooking to his kitchen designs. The business operated out of Randy’s home in Friendswood, Texas, for the first seven years. Then in 1990, Bay Area Kitchens moved to our current showroom in Webster, Texas, granting us significantly more space to display our products and services. Bay Area Kitchens is an established local company with many awards including Best Of Houzz for four straight years (so far) with over 30 5-Star reviews, and they have long-enjoyed an A+ rating with the Greater Houston Better Business Bureau, and have been featured in numerous publications including the COVER story in Houston House & Home Magazine. B. Scott Haig is a Certified Kitchen Designer and Architectural and Kitchen/Bath Designer. Scott adds his high regard for fine design and attention to detail to Bay Area Kitchens. 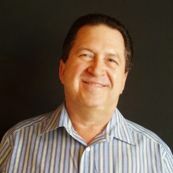 He graduated from Kansas State University’s College of Architecture and Design, and has over 20 years of design experience, overseeing construction of both residential and commercial projects. Two of his recent projects were recognized in Qualified Remodeler’s Master Design Awards in 2009 and 2010. 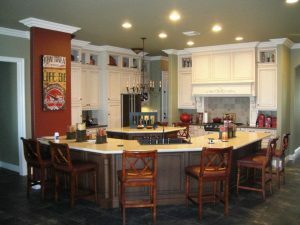 Kitchens are at the center of the home, and Scott makes it his focus as he collaborates with clients on their projects. With an eye toward beauty, simplicity, and elegance, Scott helps clients recognize the potential in the space that surrounds them. Gladly accompanying clients through the design process, Scott can offer helpful suggestions with materials, colors, fixtures, and appliance selections to create or renew spaces to enjoy. The process of taking ideas from paper to production and creating homes that are vibrant and welcoming is what Scott truly enjoys about the practice of design. Scott makes his own home in the Seabrook area. Laura Avila Minor, AAS Interior Designer, our newest Design Associate, joined us in May of 2018. Her education and years of design, construction and real estate experience adds a fresh new dimension to our staff. She exemplifies integrity, hard work and creative customer service in every detail of her designs. She enjoys helping people enhance the value of their home and is led by the principles that benefit her clients’ needs and dreams. Her goal is to surpass every client’s expectations and in turn build a long-standing relationship in which her customers will entrust their family and friends to her without hesitation. Outside of design, she enjoys her family, photography, live music and traveling. Her love of photography and her extensive travels have given her a deeper appreciation for art and architecture, disciplines she flows into her designs. We all work together to create beautiful, cutting-edge kitchens. We all regularly attend seminars, conferences, and classes to stay on top of the very latest trends and technologies. Find out more about us and contact us with any questions you have. We look forward to exceeding all of your expectations.